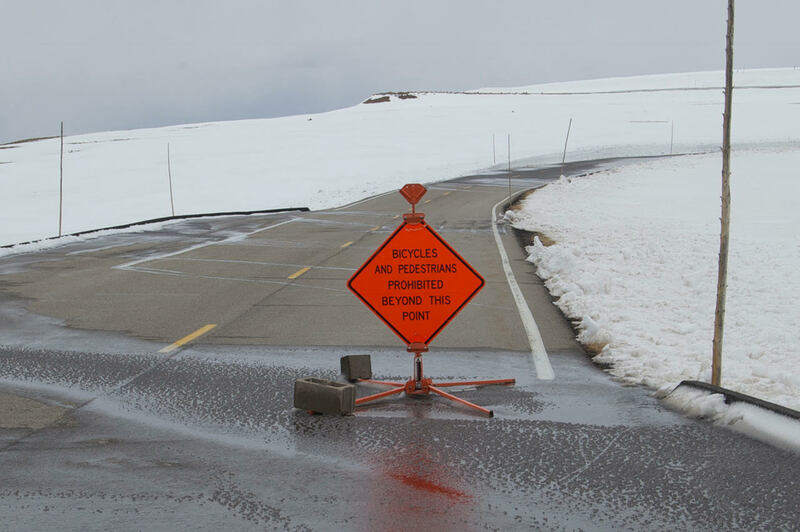 For those who have been awaiting the opening of Trail Ridge Road for the season, your wait is over! As of April, Rocky Mountain National Park has opened Trail Ridge Road to cyclists and hikers, furry friends are also allowed as long as they are on a leash. Reaching an elevation of 12,183 feet, Trail Ridge Road is the highest continuous paved road in the US. The scenic route is robust with fragrant wildflowers and a variety of wildlife. Since the road is still being plowed, it will not be open to vehicles until late May; making this the perfect time for bikers and hikers to go without having to deal with the hassle of vehicle traffic. It is important to keep in mind that conditions may still be a bit tricky and that users should be prepared for high wind gusts and rapid weather changes. For the most up-to-date information about road conditions and closures, you can call (970) 586-1222.